Among our list of the more well known and popular brokers we have also included Anyoption. It already boasts several awards for the quality of its customer service as well as its excellent trading platform. It is one of the oldest players in the market for binary options having been set up back in 2008. Of course you might say that it is not exactly a long life, and you’d be right. But the brokerage services market is still very young, and of course it all boils down to relative comparisons. In our review we looked into finding out how exactly Anyoption has become one of the largest companies in its industry. First and probably of significant importance to the consumer we would like to note that the interface for the resource that hosts the main trading platform is quite convenient and suitably adapted for beginners. If you decide to use the services of Anyoption, you will find, on its website, all the necessary materials required to begin trading in options. Once you have absorbed the vast information on offer you will be ready to take on proper trades at your own convenience. We liked that the information on the site is dedicated not only to new clients to the world of options trading but also includes common strategies, which is a good support mechanism for many experienced traders. These strategies are the basis for the development of rather complex combinations used by the ‘old-timers’ of the binary options market. A positive aspect of AnyOption as a broker is that transactions can be made not only on the trading platform, the company also offers applications for different mobile devices: iPhone, smart phone, tablets with Android. As modern people you probably know what kinds of opportunities are provided by these programs but we wanted to include it to be thorough. During the process of trading binary options with Anyoption you are free to choose from a variety of investment opportunities. We recommend you try it and see for yourself how innovative this broker is. Anyoption was the first of the brokers who offered the “option+” tool. This has enabled traders to sell the option before the closing due date, if the option is in an “in-the-money” position i.e if it still has a potential profit. This is a very useful feature for managing risks and reducing potential losses. Imagine that you bought an option, and after a few minutes you became aware of the event which is likely to lead to a rapid fall in prices. Thanks to the “Option+” tool you can sell your option immediately while it is still in the profit zone and to make profit with reduced risk. This function is often referred to in most positive feedback. Anyoption offers a variety of options that you will probably use often and with joy, such as the call/put with different expiration period. We did notice however that some of the options on the Anyoption platform are different from options of other brokers. For example, when working with a “one touch” option, the price at expiration is not required to be above or below the declared value, the main thing is that the price at one time during the operational period touched the designated limit. 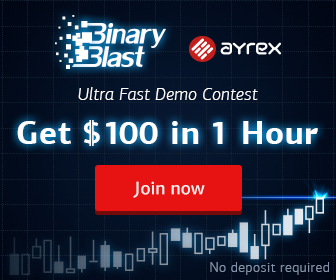 The most unique function that we have found while testing the Anyoption trading platform is the software that they have developed for themselves which sets it apart from its peers. They chose not use software under the “white label” license from well-known developers such as SpotOption or Tradlologic meaning that Anyoption stands out from other brokers. Instead they use a platform ideally suited to their needs and of course for the needs of traders. Working with and testing this platform has shown that it works flawlessly and deserves high praise. But Anyoption has not stopped there but has instead developed a new trading system called Profit Line, which only works for time related options. It allows you to easily operate trades with your options right in the chart window which shows indicators for gains/losses, changes in unit price and time remaining until close. Getting to know each broker includes not only testing the trading platform, but also the assurance of customer service quality. Seven languages are stated by Anyoption as a spoken Service language option for their customers. Our linguistic knowledge sadly was not enough to check the truth of this statement to its fullest, but we have seen that there really are genuine English-speaking operators in the service rather than an outsourced center. For any questions or difficulties we referred to the return call function. If you leave your information, you should receive an answer in about an hour (as in our case). But if you are lucky as in some of our tests you may receive a callback much faster depending on their call volume. Anyoption staff work round the clock, so regardless of your time zone, there is always a person you can discuss current issues with or seek help from. We found out that Anyoption has many strengths and surprisingly few weaknesses. It is one of the most experienced professionals in the market and they know exactly what they are doing and they do it well. The platform is easy to use and available in many languages and there is a list of the expiration times, assets and options. Among the few drawbacks Anyoption was shown to not have particularly attractive bonuses or enticing promotional offers but with good reason. Serious professionals, as they have become used to working with as their clients are not concerned with shiny brochures but rather with the information available and the power of their options trading platform.